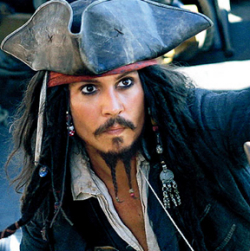 Captain Jack is back and PIRATES OF THE CARIBBEAN: ON STRANGER TIDES sails into theatres everywhere on May 20th! 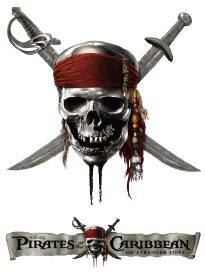 For the fourth Pirates adventure, Captain Jack Sparrow finds himself on an unexpected journey to the fabled Fountain of Youth when a woman from his past forces him aboard the Queen Anne’s Revenge, the ship of the formidable pirate Blackbeard. I can't wait to hit the theater -Pirates of the Caribbean is always a sure bet. How would you like to get your hands on some official Pirates gear directly from Disney! * Also, to celebrate the most anticipated movie of the Summer, Disney has created an awesome activity pack for kids! It includes face masks, coloring sheets, door hangers, mazes, etc. Please feel free to download. 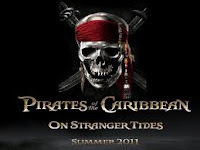 - Follow me @jamaise at Twitter & Tweet this : RT @jamaise #GIVEAWAY #WIN PIRATES OF THE CARIBBEAN: ON STRANGER TIDES ~ Prize Pack ~ Ends 5/27 tweet each day for one entry each ! I be entering ye pirate giveaway. I be a follower at that there GFC as strawberry. Do we have an accord? Arrrgh...I be following ye blog matey. Yo I already be a GFC follower Matey. Yohoho and a bottle of rum i be a follower via GFC. Eye, eye mateies, batten down the hatches and enter me in this here giveaway! Aye Matey do you want to share a pint? I be ye follower matey! 1 Pirates of the Caribbean FB Fan! 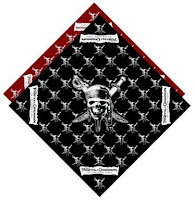 2 Pirates of the Caribbean FB Fan! 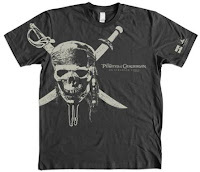 3 Pirates of the Caribbean FB Fan!